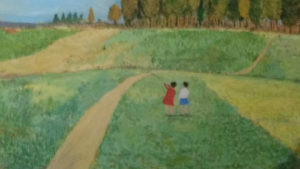 We support storytellers in social justice settings learning to deliver their stories effectively and choosing stories wisely in terms of settings and content. As we learn of training opportunities that are targeted to improving ability of tellers to be effective in this arena, we will announce these here, and present reviews and summaries of such training. In addition, training delivered to empower the voices (and stories) of individuals who have been marginalized or victims of various forms of social injustice will be announced and reported on, in this section. One example of a storytelling programs with this focus is Michael McCarty’s work with youth in prisons in California. Another is Lani Peterson’s Story X Change program with groups in the Boston area, which helped participants develop personal stories about feeling marginalized. At the HSA Pre-Conference during the 2016 NSN Conference, Lani presented her work and planted the seeds for more local trainings in Kansas City, which have been coordinated by HSA Board Member, Jamie Mayo. Michael and Lani’s work has been presented on our teleconferences and the information is available in HSA’s resource section. The work done in the Kansas City, Missouri community over this past year will be the focus of HSA’s Pre Conference at NSN’s 2017 Conference in KC. 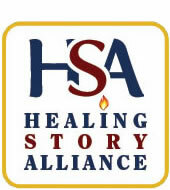 Participants in this process will be among the tellers at HSA’s story concert immediately preceding this year’s NSN Conference.